Away from the fire affected part of Skipwith Common, there are pleasant walks, with ponds, marsh areas, sandy heath and avenues of trees. 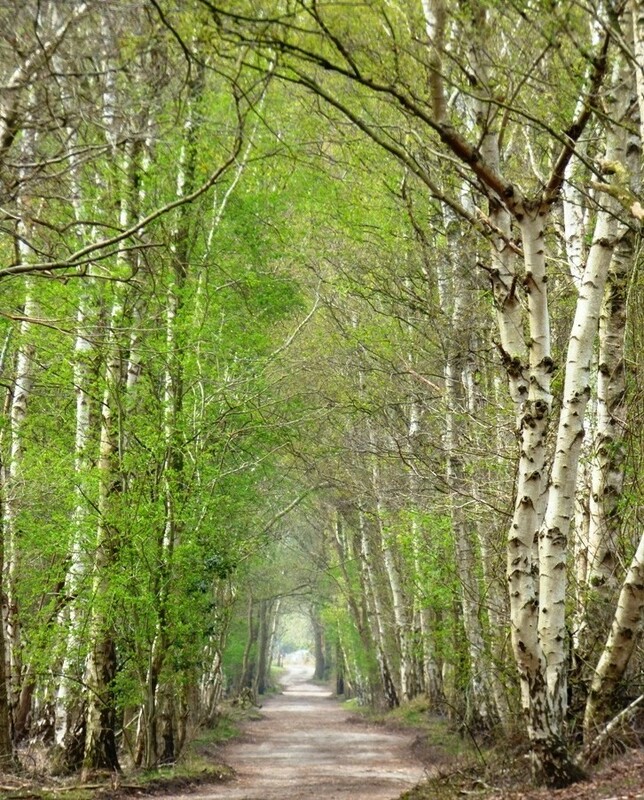 This avenue is mainly silver birch trees, and was a pleasant sheltered walk now the weather is warming. Magical place and an excellent shot and pov. Fav. Well spotted - a very nice shot. Beautiful silver birch trees. so nice to look at all that nice green while we still have bare trees. fav. Looks like a very inviting trail. Love this shot, so beautiful! @shannejw @carolmw @sangwann @peadar @busylady @stevepam @seattlite @pyrrhula @chejja @bruni @bkbinthecity @bizziebeeme Well, I'm overwhelmed by the many generous comments and favs for this shot, which put it on the Popular Page - thank you all! I think you must all have fallen under the spell of Skipwith Common, as I have. There is quite a big network of paths there, so when I get chance I will be making further trips there. I love that path. Great photo of it. Like the detail in the trunks on the right. @shutterbug49 @kjarn Thank you both, I was impressed by this nature reserve. There is so much more to discover there that I'm sure another visit will take place quite soon.